In celebration of Rails-to-Trails Conservancy’s (RTC) seventh annual Opening Day for Trails (Opening Day) on Saturday, April 13, Simon Kenton Pathfinders will be hosting a dog walk, run, bike ride, or hike with friends. The event will take place at the Depot Coffee House, 644 Miami St. from 9 a.m. to 11 a.m. In celebration of Rails-to-Trails Conservancy’s (RTC) seventh annual Opening Day for Trails (Opening Day) on Saturday, April 13, Simon Kenton Pathfinders will be hosting a dog walk, run, bike ride, or hike with friends. The event will take place at the Depot Coffee House, 644 Miami St. from 9 a.m. to 11 a.m. The first 30 to register will receive a gift. As the nation’s kickoff to the trail season, Opening Day invites walkers, runners, cyclists, and outdoors enthusiasts from across the country to celebrate spring by exploring trails in their community. Simon Kenton Pathfinders will be hosting the event to bring the community together to share health and fitness on the trail. In 2018, people nationwide celebrated Opening Day by visiting a trail in their neighborhood, or by joining one of the special events offered around the country. This year, trail users can once again plan to join the celebration and find events happening in honor of Opening Day by visiting www.railstotrails.org/openingday. To learn more about Simon Kenton Pathfinders Opening Day event, please visit: www.simonkentonpathfinders.org or Facebook, and instagram. 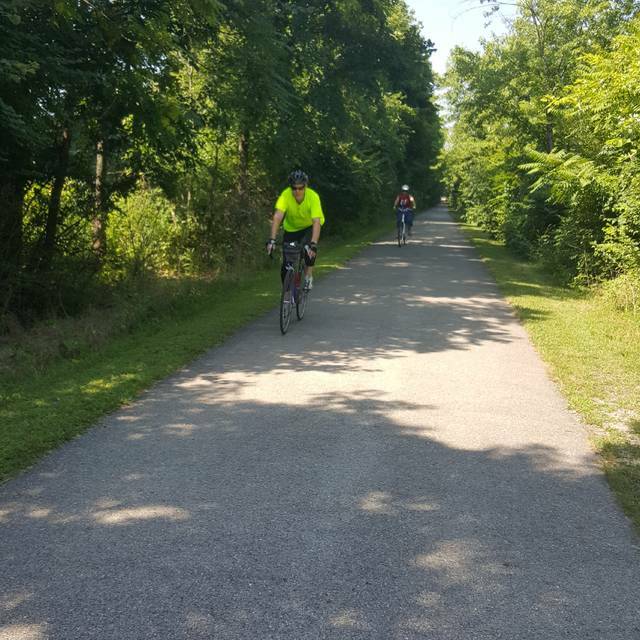 Simon Kenton Pathfinders is a 501(c)3 organization created in 1997 in Urbana, Ohio, whose mission is to assist in the development, installation and maintenance of a shared- use path in Champaign and Logan counties. The SKP is as all volunteer organization in both Champaign and Logan Counties. For more information about Opening Day for Trails and to explore Opening Day events please visit: railstotrails.org/openingday. Join in the conversation and find out how people across America are celebrating Opening Day using #RTCOpeningDay on social media. Opening Day is an annual celebration organized by Rails-to-Trails Conservancy (RTC) that kicks off the spring trail season. RTC, a nonprofit organization with a grassroots community more than one million strong, is the nation’s largest trails organization dedicated to connecting people and communities by creating a nationwide network of public trails, many from former rail lines. Connect with RTC at railstotrails.org and @railstotrails on Facebook, Twitter and Instagram. Share Opening Day stories by using #RTCOpeningDay.